Hi guys! Whoaw, it seems like a decade since I last posted something on here! I have a decent excuse though, since this week I finally started college life! I am studying languages and literature, and so far, it has been overwhelming but SO MUCH FUN! I especially love that feeling of freedom you get when studying in a bigger city. The possibilities seem endless! I am planning on running a fresh breeze of air through the blog, with some new categories and stuff, but first I'd like to get used to the overload of new information, people and influences. Soon more about that! 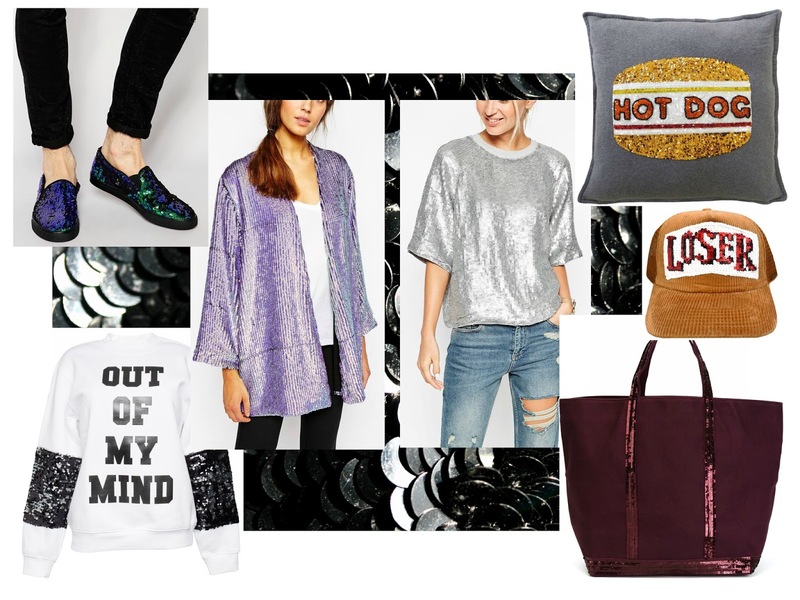 For today, I came up with a simple shopping/inspiration kinda moodboard, because I have been noticed a new little obsession of mine: sequins. What do you think about sequins? Which Item do you like the most? Thanks to the writer of this article for this wonderful post, packed with ideas about "Men & Women Online Shopping". The post is written in very a good manner and it includes many useful information for me. I appreciated what you did here.